PetroVietnam Power Corporation (PV Power), the country’s second largest power producer, will list on the Ho Chi Minh City stock exchange on January 14 with an expected market capitalisation of $1.5 billion. More than 90,600 enterprises had to suspend operation in 2018, a sharp increase of 50 percent over the year before, which economists described as “worryingly high”. As many as 59.6 percent of domestic construction enterprises expect stable or better business in the first quarter of 2019, while 37.5 percent of firms said that they are likely to meet more difficulties, according to a survey launched by the General Statistics Office (GSO). Sun Group, FLC and IPP have poured money into aviation infrastructure, which was once thought to be beyond private investors’ capability. Viettel Group, Vietnam’s largest mobile network operator wholly owned and operated by the Ministry of Defense, has plans to expand to socialist sister countries North Korea and Cuba, both of which are in the early stages of building up mobile phone networks. Skylight, a joint venture between BCG Energy and Indefol Engineering Solutions, on January 4 put into operation a rooftop solar power system at the Dinsen Industrial Park in the southearn province of Long An. The growth of the Vietnamese automobile industry has had a positive impact on industrial real estate. Hanoi authorities are destroying pavements to widen the streets as an attempt to curb congestion, according to a decision by the Department of Transport. 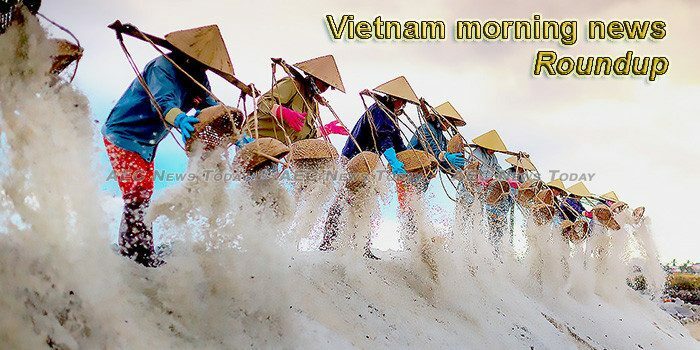 Việt Nam will enhance its telecommunications infrastructure, expand its broadband network and develop 5G mobile connectivity this year. Lavifood Joint Stock Company officially put into operation its Tanifood vegetable and fruit processing plant in the southwestern province of Tay Ninh on January 6, hoping to make international-standard products for export to the US, the European Union, the Republic of Korea, Japan and Australia. The Ministry of Finance has issued new securities-related service regulations for trading organisations and commercial banks doing business in Viet Nam’s securities market. State-owned banks, all with huge capital, continued to show their strength in 2018. Despite being seen as a potential blockchain development nation, Việt Nam lacks a proper legal framework which may prevent the country maximise benefits from the emerging industry. Vietnam is set to reform its policies to attract more renewable energy investment in the time to come. Vietnam’s south-eastern provinces have reported not only high economic growth in 2018 but also a trade surplus. Two Vietnamese dollar billionaires and other well-known businessmen started their careers by making instant noodles. A total of 330 bicycles worth nearly 500 million VND (21,500 USD) have been presented to poor students with excellent academic performances in northern localities. Following the boom of e-commerce, the number of apps allowing users to pay for services has increased dramatically. Colonel Nguyen Chi Phuong, director of the Thanh Hoa City Police, has been suspended for allegedly taking a VND260 million bribe from a former police officer. The Ministry of Industry and Trade (MoIT) has set up a council to scrutinise alleged violations of competition regulations in ride-hailing services firm Grab’s acquisition of Uber’s business in Vietnam. The central province of Quảng Nam has approved hi-tech farming and agriculture park projects in Thăng Bình District and the township of Điện Bàn on 425 hectares of land with total planned investment of VNĐ5.4 trillion (US$239 million) by 2024. Politburo member and permanent Secretary of the Party Central Committee Tran Quoc Vuong on January 6 visited workers at the Ha Phong garments for export company in the northern province of Bac Giang on the occasion of the coming traditional lunar New Year (Tet), the longest and most important annual festival in Vietnam. Việt Bảo Ký Agricultural Products Processing Co., Ltd on Thursday opened and put into operation the Tân Ký-Bảo Ký factory, processing macadamia, chestnuts and almonds, in the central province of Thừa Thiên-Huế. Vietnamese filmmaker Linh Nga’s ‘Inside This Peace’ has won the prize for the Best Feature Documentary at the California Women’s Film Festival. The private economic sector has greatly contributed to promoting socio-economic development of the country, heard a workshop in the Mekong Delta province of Bac Lieu on January 5. The Hanoi Investigative Police late yesterday, January 4, issued a decision to prosecute and temporarily detain Nguyen Kim Hung, alias Hung “Kinh”, head of a goods loading team in the city’s Long Bien market. Chairman of the Vietnam Chamber of Commerce and Industry (VCCI) Vu Tien Loc has emphasised the need to attach due importance to the role of business households so as to fuel economic growth with greater strength. The Supreme People’s Procuracy has prosecuted Tu Thanh Nghia, former General Director of the Vietnam-Russia oil and gas joint venture Vietsovpetro, for “abusing position and power to appropriate assets”. The power company of the Central Highland province of Dak Nong has splashed out tens of billions of VND on upgrading its electrical systems to ensure there is a sufficient power supply for Cambodia’s Mondulkiri province.